If waiting for more than an hour to get seated just so to smorgasbord blue crabs, dungeness crabs, king crabs, snow crabs and shrimps is a virtue, then I am virtuous. 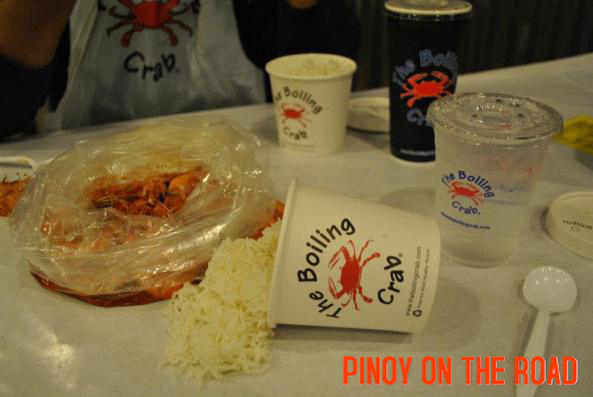 At the Boiling Crab, it’s literally sitting down and getting dirty. 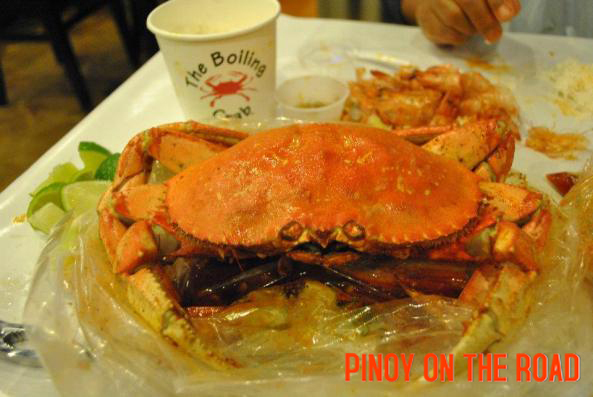 And wow, they don’t serve those sumptuous crabs in a plate, they are wrapped in a plastic bag. 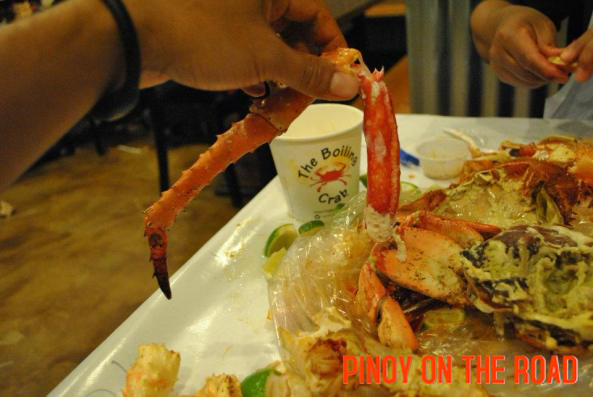 Yes, nakabalot na parang pang take home! And to eat it? 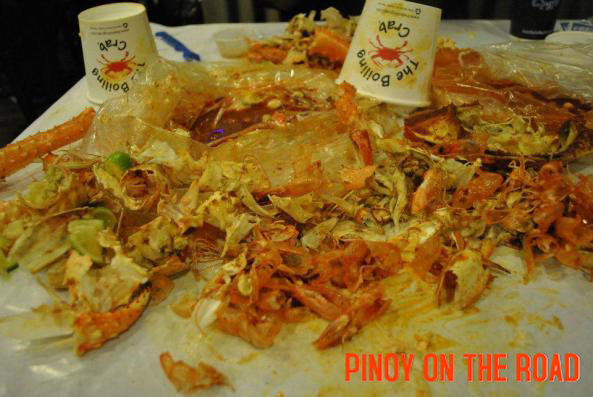 Just spread everything in the table and use your bare hands. Parang nasa picnic lang. I particularly visited their branch in Rowland Heights in Los Angeles after a tiring day in Casa Blanca. We arrived past 7PM and immediately listed our names at the reception for us to get seated. I was told that the restaurant is always full and reservation is not allowed. Since it’s a bit crowded, we opted to stay outside and wait until our names are called to be seated. Normal waiting time is 1-2 hours but we got our seat little past 1 hour. 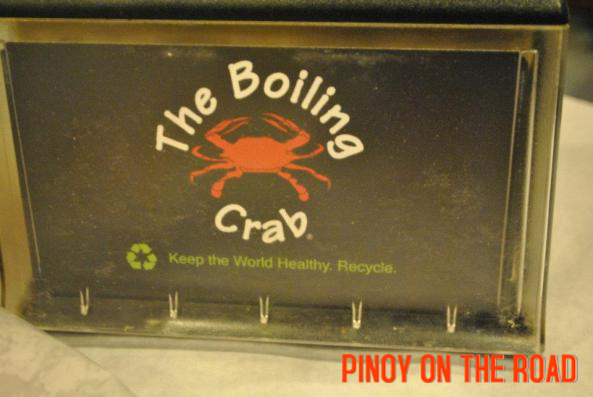 I have no right to complain since I wanted to try the way they do crabs. When we got our seats, we waited for another 30 minutes for our food to be served. Then our order arrived and we savour the food with gusto. Sarap! The restaurant set-up is cool in itself. Vandalizing is allowed. One can write anything on the walls. Despite the vandals, it still looks fantastic. Well, it was a choreographed vandalism if I may say. 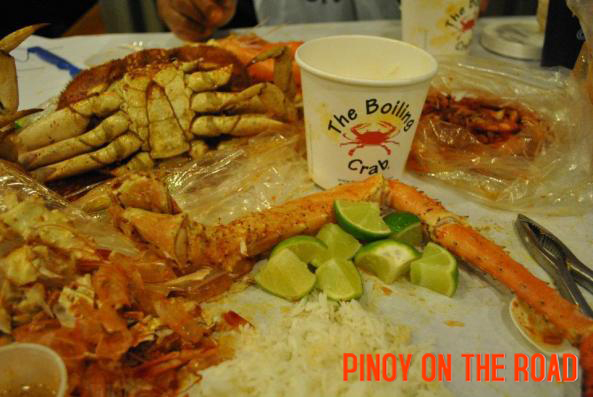 The Boiling Crab is on my top list to dine.